Our Animas 2018 addresses 10 concerns of watershed residents. The report compiles and shares information collected by others, and calls on you to bring your own data, experiences and observations of the river and the watershed, to examine longer term concerns surrounding the resilience of our river. 2. Is my water safe to play in? 3. Is food produced with my water safe to eat? 4. Is the river safe for fish, wildlife and pets? 5. How is the overall function of the Animas River system? 6. What is impacting the natural system? 7. 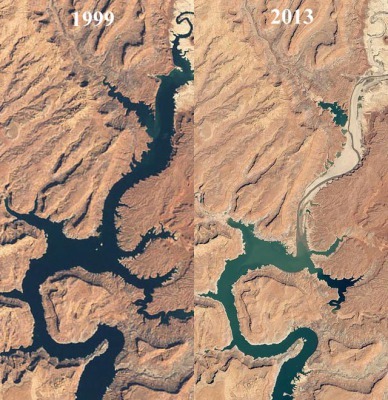 What is the trend in river system condition? 8. Can the river sustain impacts? 9. How is the river supporting community quality of life or not? 10. What is my impact and what can I do? The ARC Forum Monitoring Gaps Committee is working to fulfill one goal of ARCF Partners: to inventory monitoring of the river, to identify any key data gaps, and to share the story that the data tells. The committee first surveyed local residents to find out their concerns about the river, then identified how existing river monitroing data may address these issues. The committee found out who is monitoring the Animas and what data they are collecting. They buttons below link to these data. 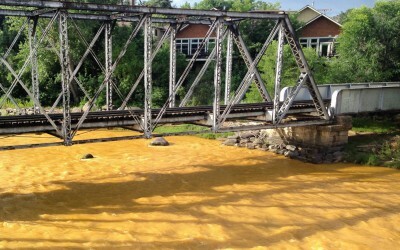 Who is Monitoring the Animas? Heavy Metals can be toxic to humans and animals at specific levels. Currently many initiatives are being made to reduce heavy metals in the Animas River. Monitoring being done after the Gold King Mine spill incident. EPA Summary of Superfund Resources Available to Communities: Advisory Group, Technical Assistance Services for Communities, etc. 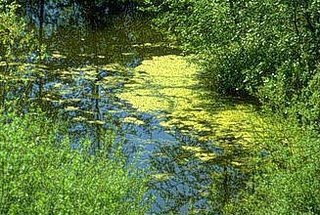 Excess nutrients or nutrient pollution is also called Eutrophication. Excessive amounts of nutrients can lead to low levels of Dissolved Oxygen which can cause fish kills, or an Increase in Algal growth which causes a decrease in available sunlight. Nutrients can come from many different sources, such as: natural processes or human processes; such as ferlizers, sewage, or animal waste. Sedimentation is the process by which the products of erosion (i.e. rocks, sand, and/or clay) settle out and deposit onto the bottom of a water body. Some materials in the San Juan Mountains erode more easily than others. Easily eroded materials include shale, sandstone, and limestone. Sedimentation can occur on land or in water. It can cause damage of land and cause safety issues on roads. 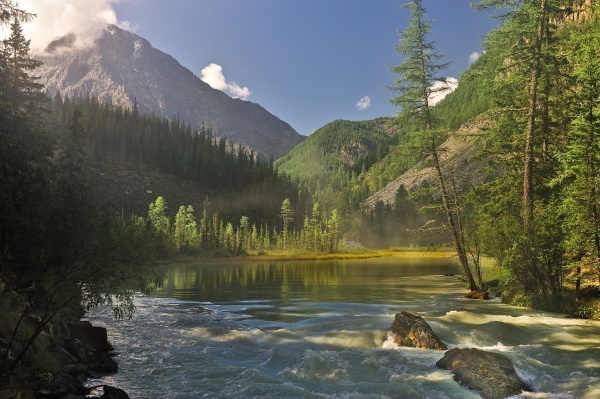 Sedimentation can cause issues with capacity in rivers, lakes, ditches, canals, etc. Filling them up and displacing water or overflowing onto roads. Sedimentation is often linked to suspended solids and high turbidity that can affect aquatic life. Bacteria are one celled organisms that are found everywhere. Some bacteria are harmful while others are beneficial (such as fermentation in wine). E.coli is a type of bacteria used as an indicator of the potential for the presence of pathogens in waterbodies. E.coli is commonly found in the intestinal track of humans and other animals. However there are some strains of E.coli that can cause serious infections. Potential sources of E. coli and other bacterial contamination include waste from wildlife, livestock and humans. These images are from April 2016. The Animas Watershed Partnership held a volunteer event to plant willows along the Florida river. Planting willows provides a buffer from water runoff and bank stabilization. 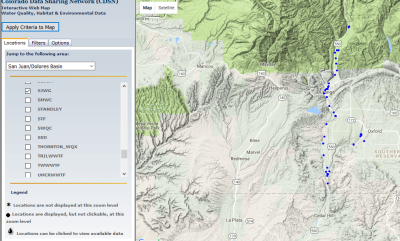 Image above: This is an example of the information available on the Colorado Data Sharing Network. "Riparian Buffers are vegetation left along the banks of a stream or river that that protect water resources from pollution running off the land, stabilize banks and provide habitat for fish and wildlife. Improving Riparian Buffers can increase water quality and prevent erosion. One way to increase a riparian buffer is by planting native plants, like willows, cottonwoods and buffaloberry..
Fort Lewis College Biology Department is monitoring Vegetation Cover.